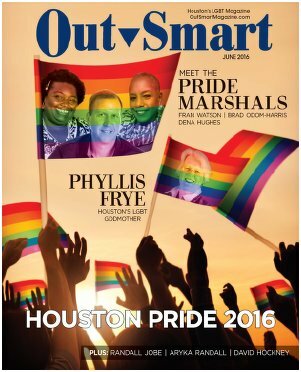 gay & lesbian publications, mostly from Houston, but including some statewide ones. 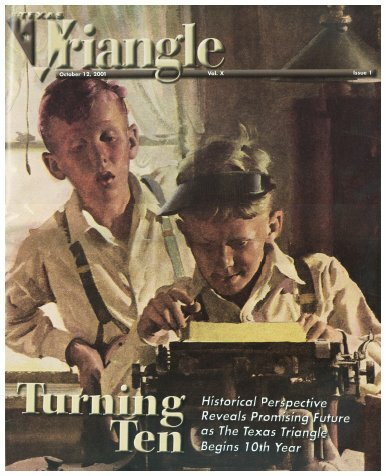 to these publications is courtesy of Gulf Coast Archive & Museum and The Botts Collection. 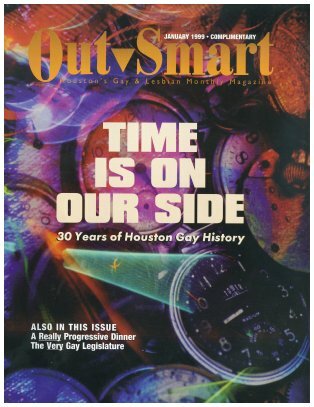 A listing of some early Houston GLBT publications (a work in progress) can be found at this link. 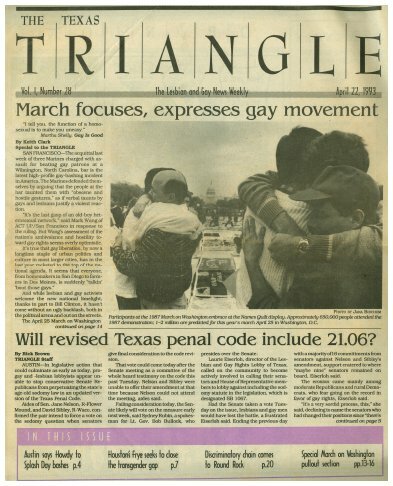 Based in Austin, and published by Kay Longcope, this statewide paper began 10/15/92, and had rough years, before being bought by Angle Media in 1997. 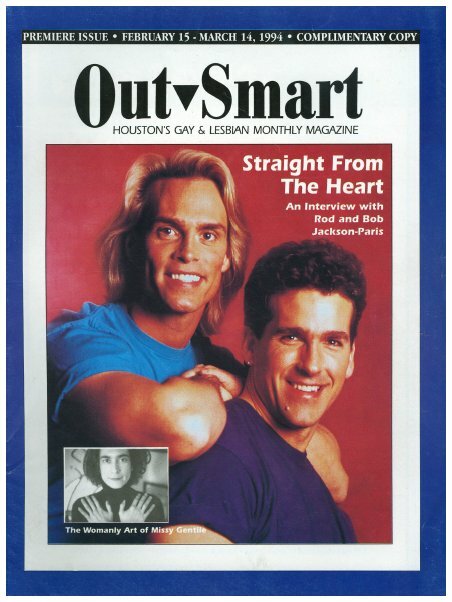 At right, the 5/25/01 issue also served as the Houston Pride Guide, and the PDF also includes selected pages of Pride coverage from several succeeding issues. 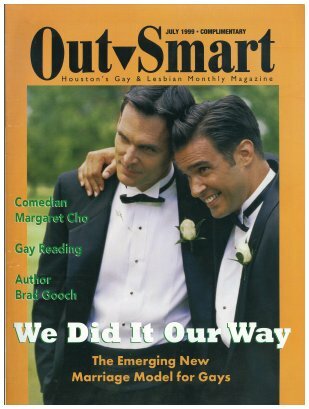 OutSmart is certainly not an "assorted publication," and it got its start with its 2/15/94 issue, a monthly, and is still going strong. 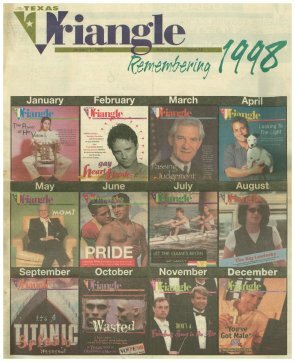 After the 8/15/96 issue it moved to monthly dating, and next issue was 10/96. Size has always been 8x11", in recent years 100-150 pages, too large for scanning completely, so only selected pages are represented here. 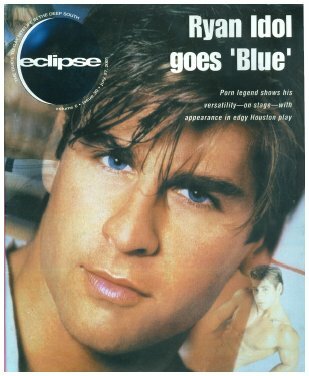 The Publisher from the beginning has been Greg Jeu. 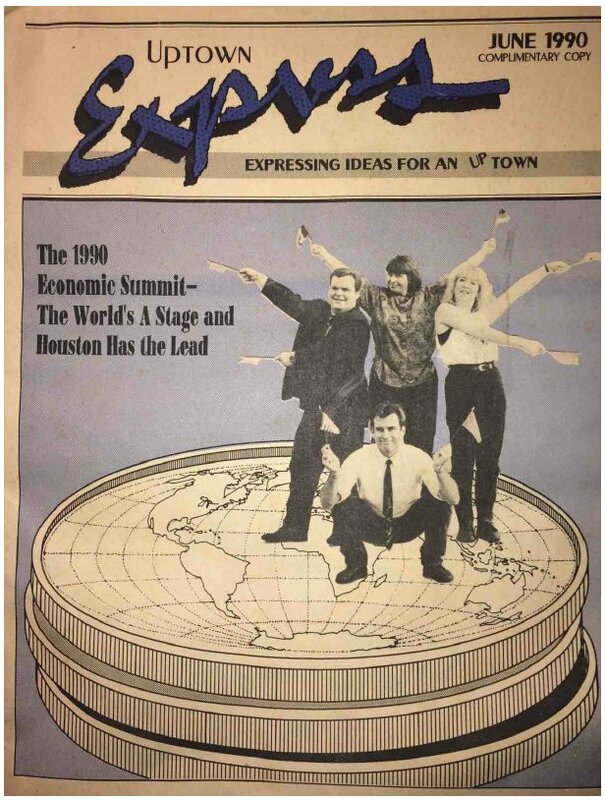 During 1999 a wonderful year-long feature on Houston history was included, so I've done two special scans of just those sections. 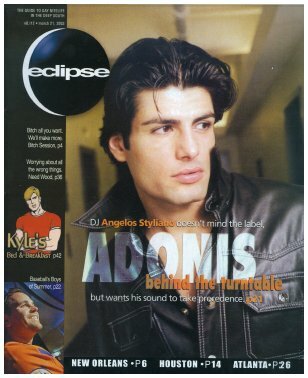 Part 2 also has some additions from history relation articles from 2000/2001. 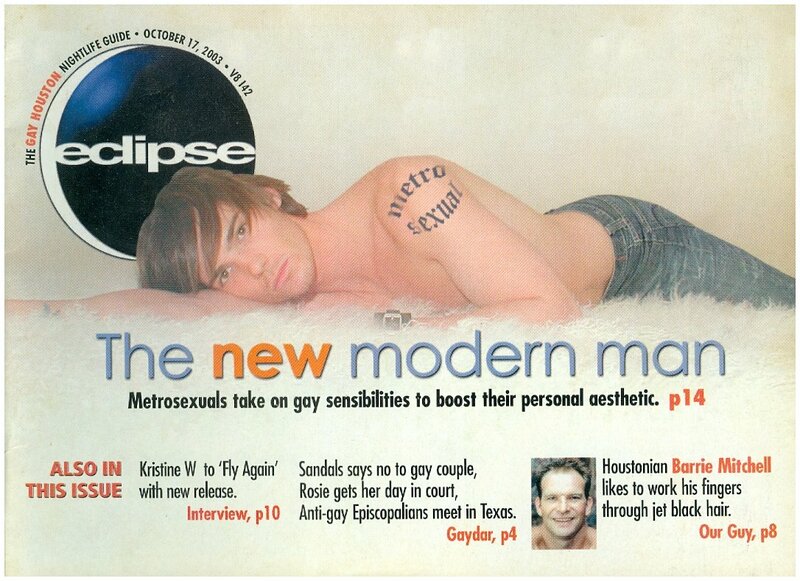 You could not really term Uptown Express a "gay" publication, and it called itself a "holistic magazine." 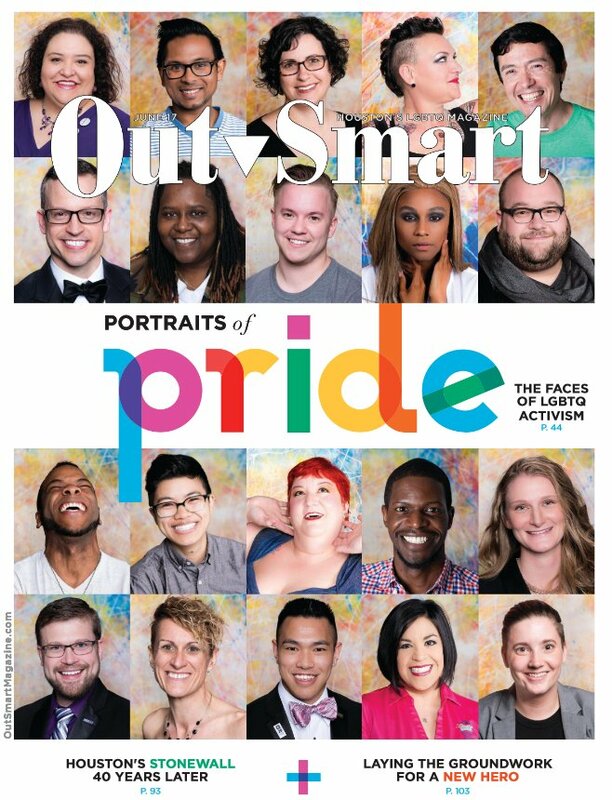 I list it here as it was published by Greg Jeu (of Outsmart), and his staff over the years included many LGBT folks, like Nancy Ford and Blase DiStefano. 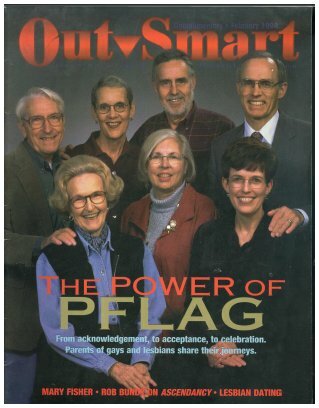 It was bi-monthly and ran from 1984 through about 1996. 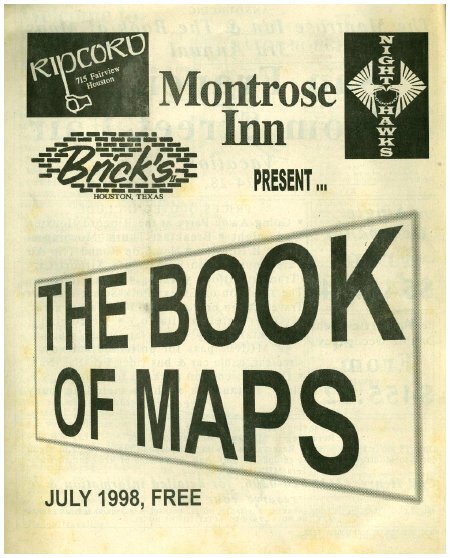 Henry McClurg ran the Montrose Inn and issued his own map publication...unsure how many issues were done. 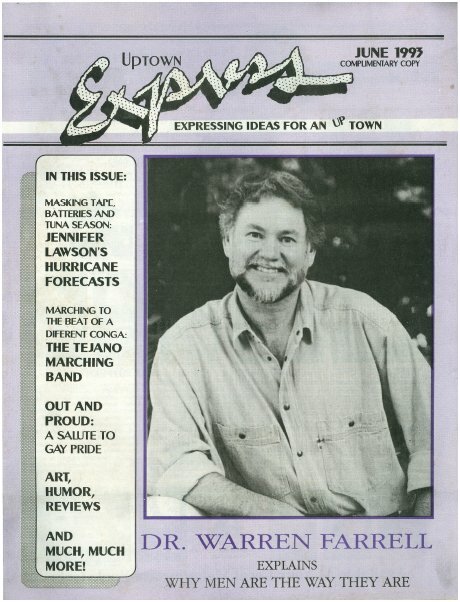 A thin publication lasting several years in San Antonio from 1992 or 1993 to at least 1994, with Publisher Kelly Murphy and Editor Thomas Edmonson. 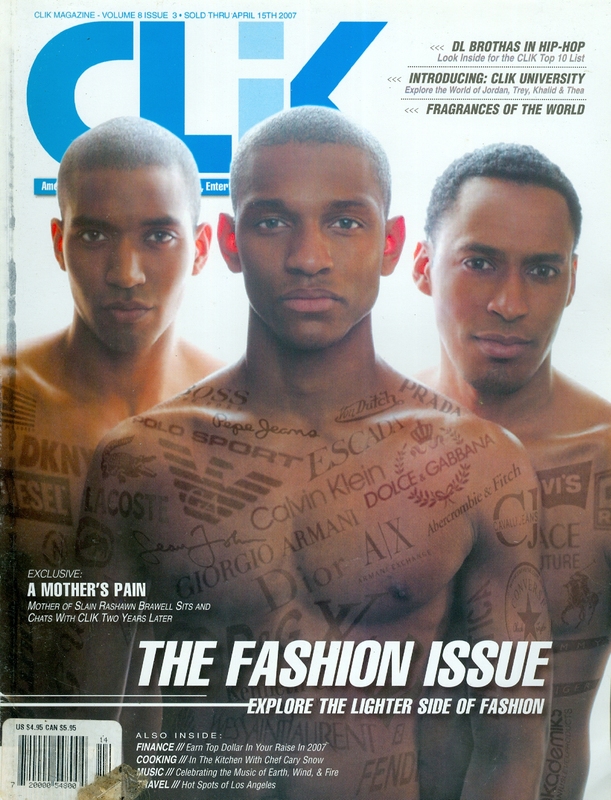 Kenneth LaMarr was Editor of this gay Black publication from Dallas. It was almost pocket size, 5 1/2" x 8 1/2", ~40 pages, unknown how long it was printed. 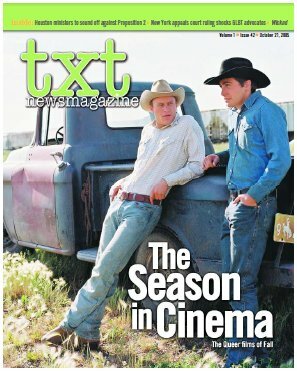 Texas section from the national magazine, The Guide. 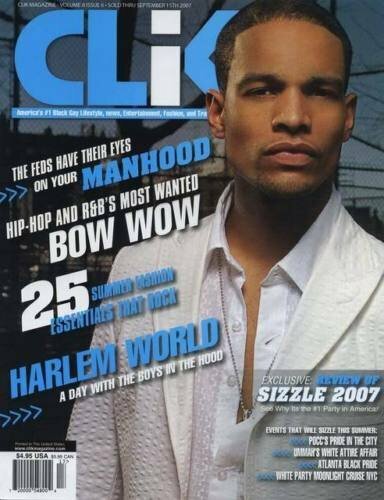 Different cities were featured in each issue. 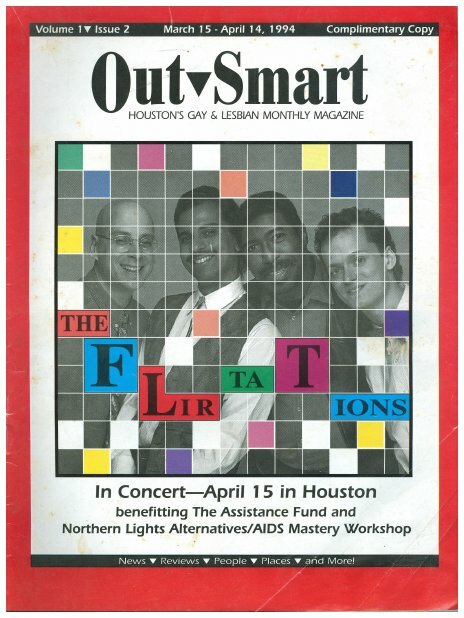 Billed as "the Nation's Premier Gay Publication For & About People of Color," it was an entertainment pub based out of Atlanta, though originally based out of Houston. 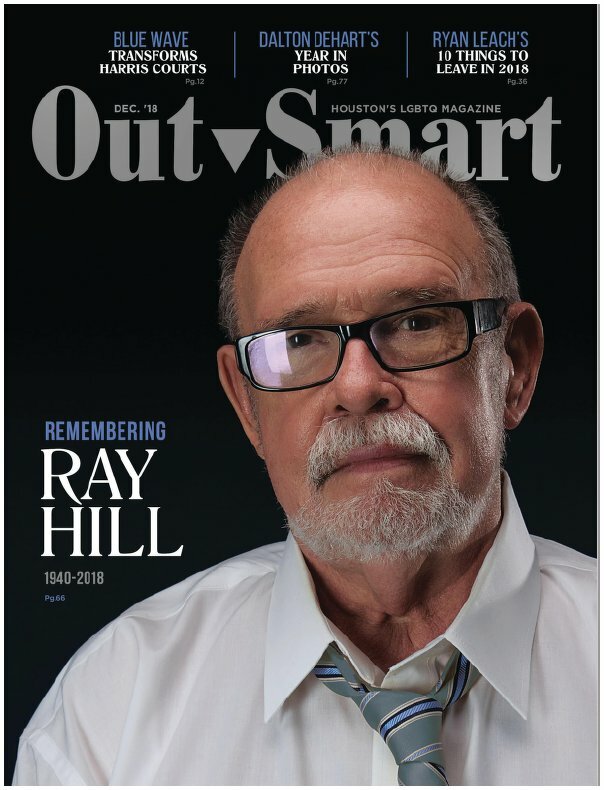 Publisher was Dwight Powell. 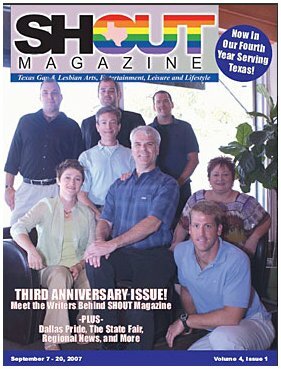 It had good Houston coverage, frequent Houston ads, and had several Texas writers. 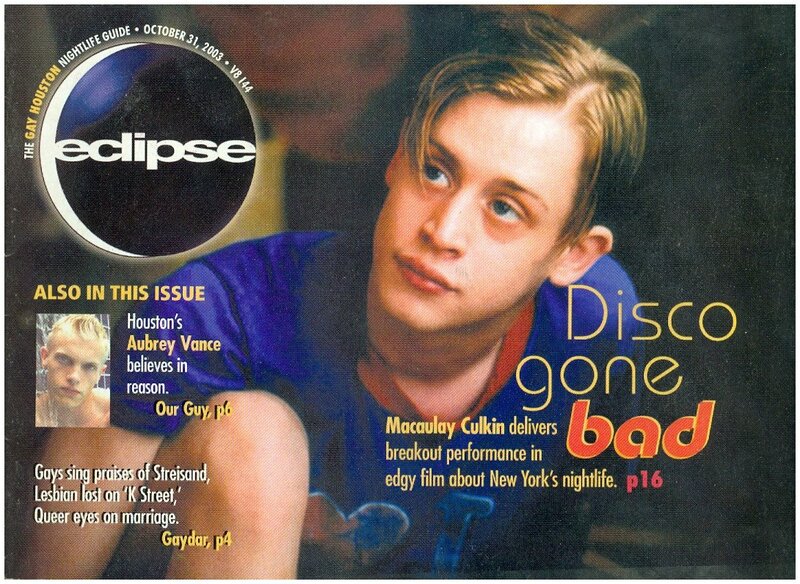 There were publication gaps in the early 2000s. 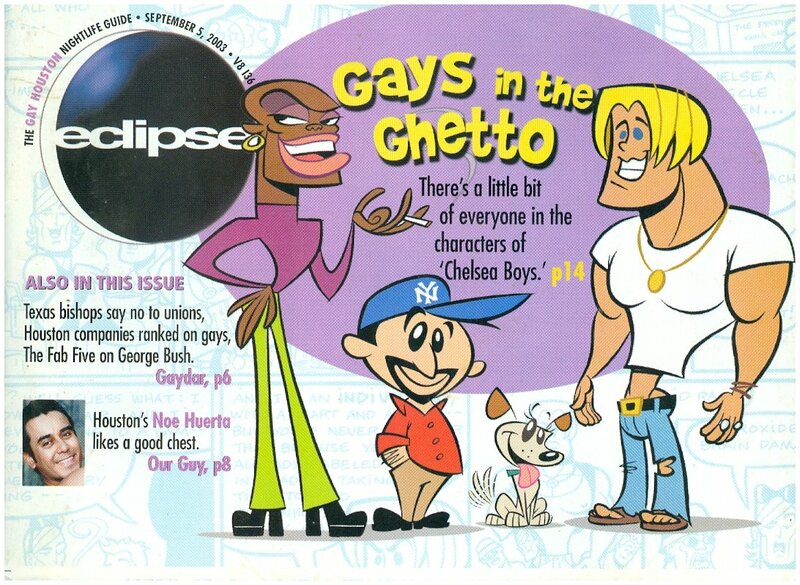 Originally an insert in Impact (New Orleans), starting 8/30/96, under Scafide Enterprises Inc, and billed as "The Guide to Gay Nitelife in the Deep South." 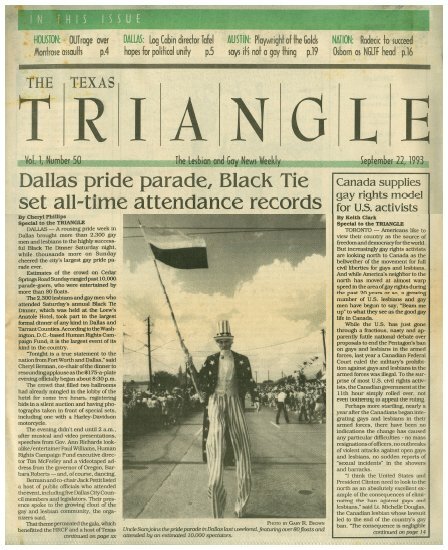 As of Vol 4-4, 1/29/99, it was owned by Windows Media, adding offices in Houston and Atlanta and bar info sections for the cities. 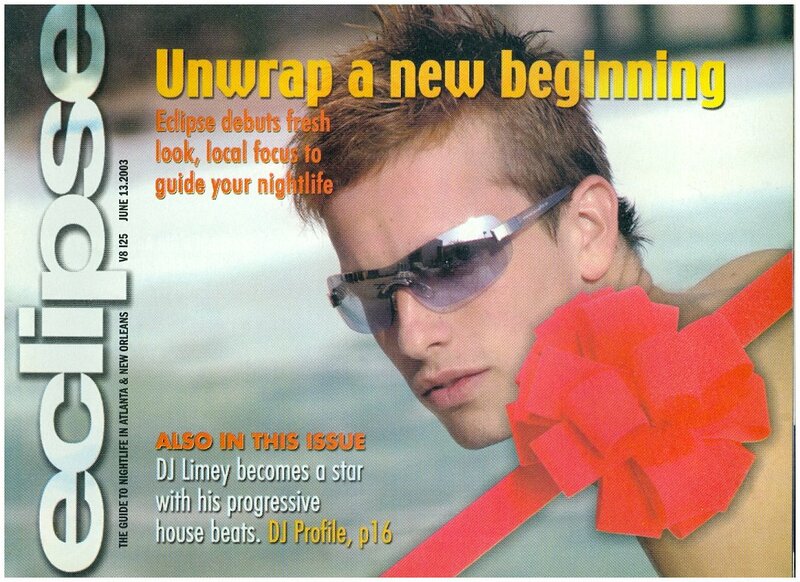 Lasted into 2004. That PDF contained issues #s 14, 10, 12, 19, 20, 23-30, 32, 33, 43, 47-49. Houston address only, instead of Atlanta. 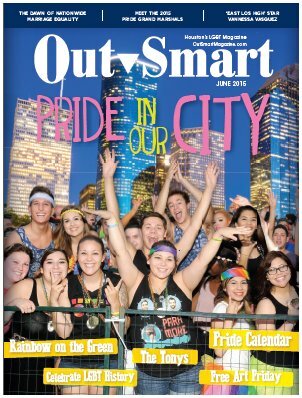 Now subtitled as "The Gay Houston Nightlife Guide." 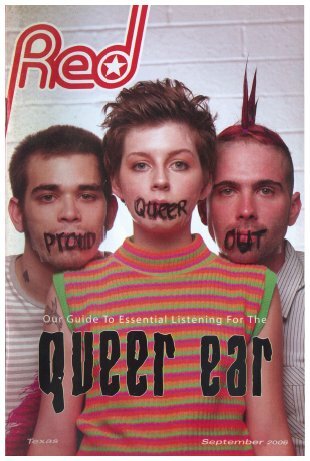 Founded in the Fall of 2000 by Richard Moore. 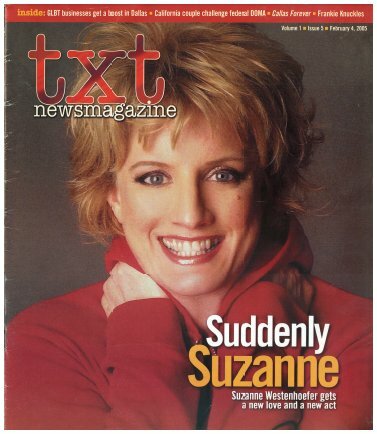 Alan Gellman (once TWT publisher) was Managing Editor until his death in January 2001. 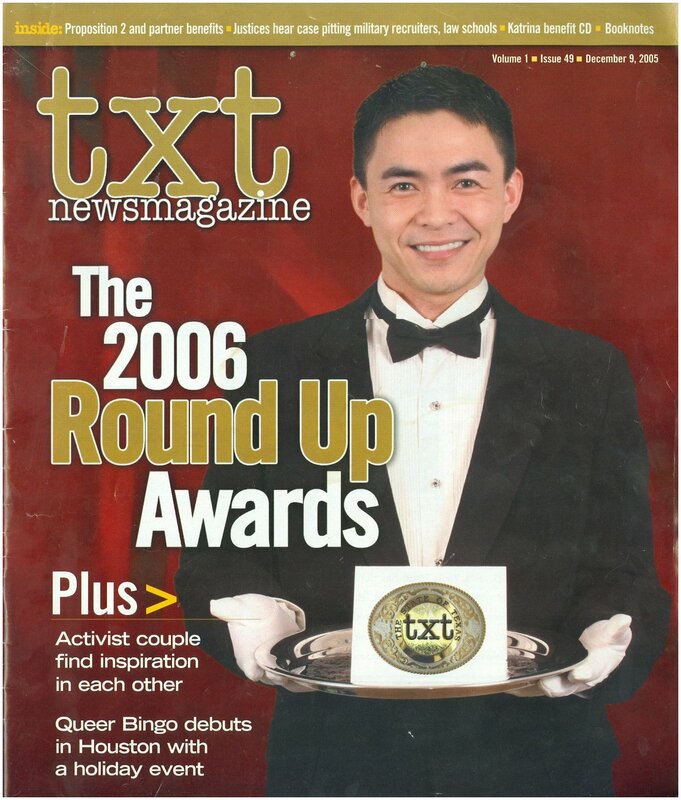 It was started by the Dallas Voice when TWT folded (in Aug 2000), and the last issue was 12/31/04. 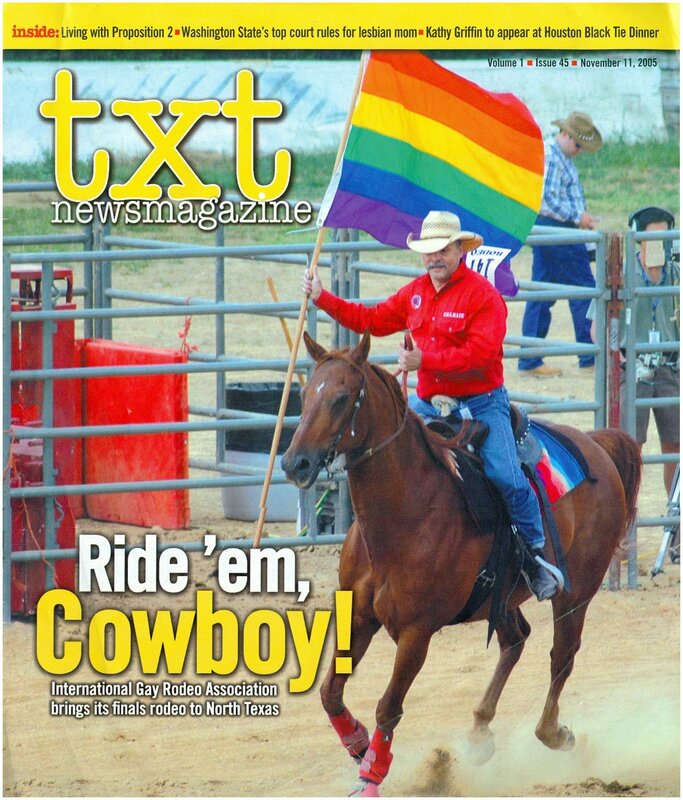 It merged with the Texas Triangle to become TXT Magazine. It was a very slick pub, 8x11" format. 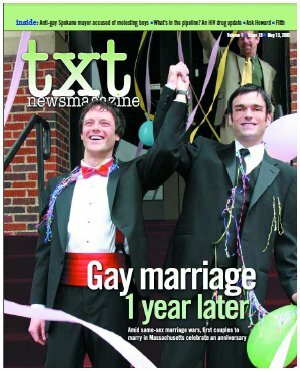 Dallas Voice owner Richard Moore acquired the Texas Triangle and at the start of 2005 name was changed to TXT Newsmagazine, maintaining the same format and many of the same writers and distribution addresses. It ran for one complete year. 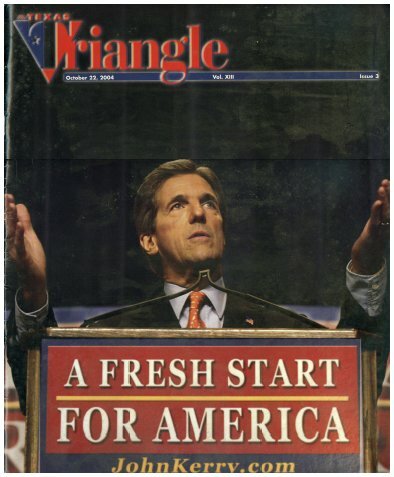 A monthly pub, 5 1/2 x 8 1/2", based out of Phoenix, distributed to several cities and at first in each kept a local focus, though by the end of 2006 issues covered multiple cities. 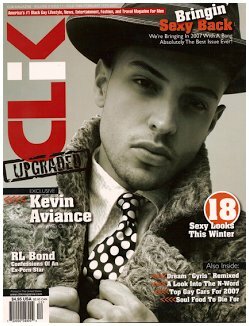 About 50 pages, many more articles than similar pubs. 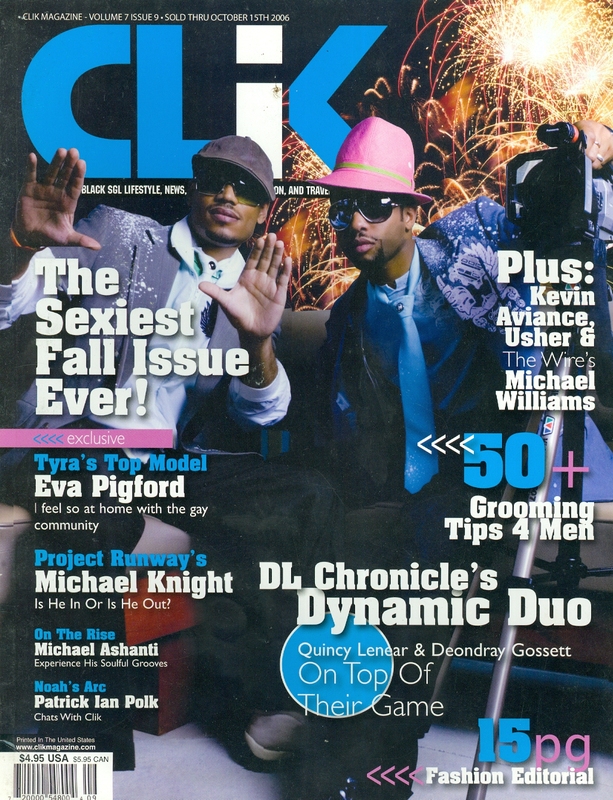 Begun April 2005, last issue June 2008. 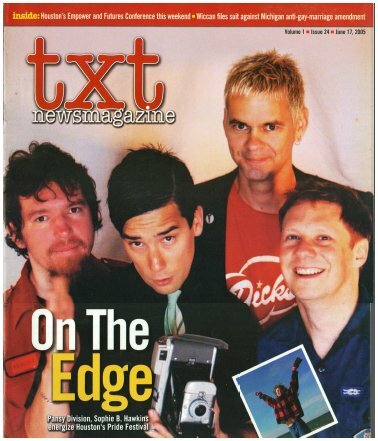 Editors were David Salcido and then Mike Zydzik. 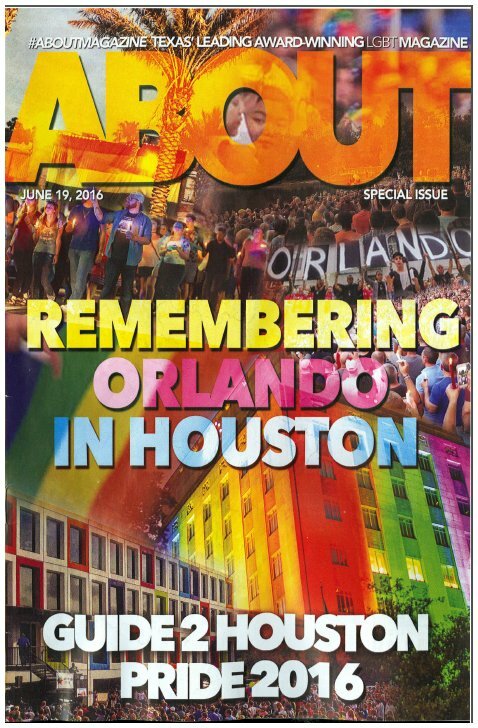 of Austin with statewide coverage, usually 15-20 pages, 5" x 8." 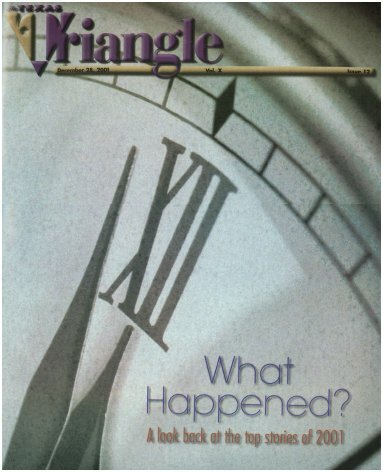 Editor & Publisher was Rob Faubion. 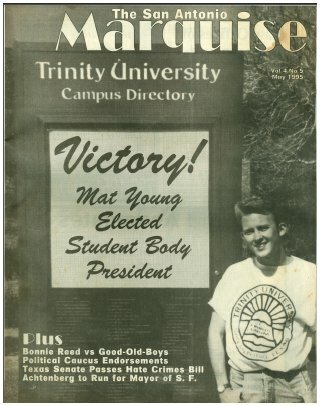 His next venture was "Shout Texas," also short-lived. 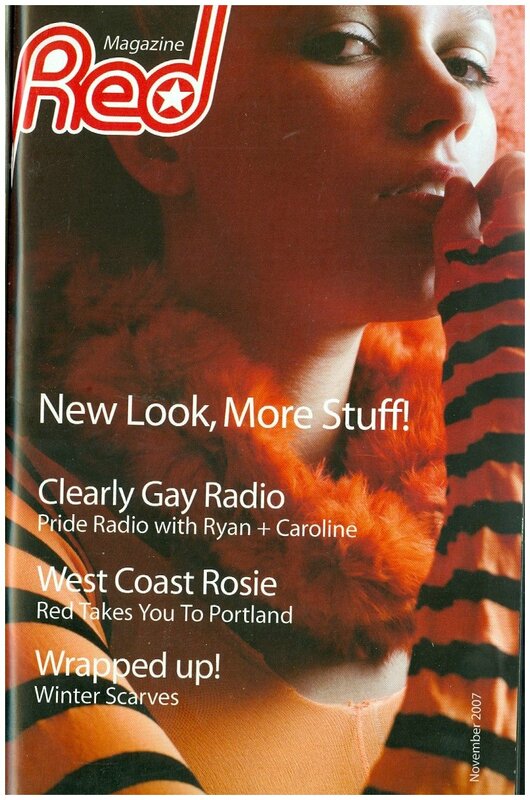 It appears last issue of In2It was #8, 7/28/06. 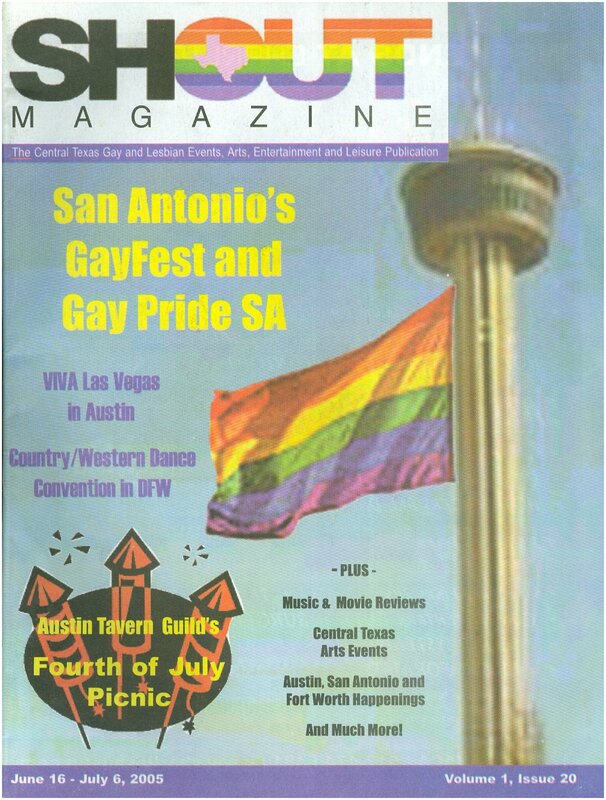 Published by the Esperanza Peace & Justice Center, San Antonio, in support of marginalized people including Hispanic Americans, people of color, LGBT, immigrants, etc, Format was 8 1/2x11"
Based out of Dallas, a state-wide bar pub with a Latino slant to it and lots of slick bar ads and drag features. 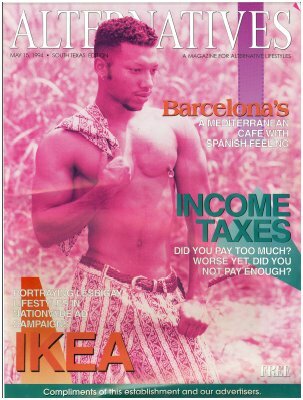 Early issues, under Publisher Alberto Rey, had a degree of article content, but that lessened through its run. 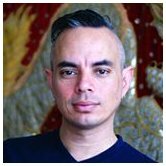 Publisher by late 2011 was Jose "Ricky" Fernandez. It was 5 1/2x8 1/2" and about 30 pages. 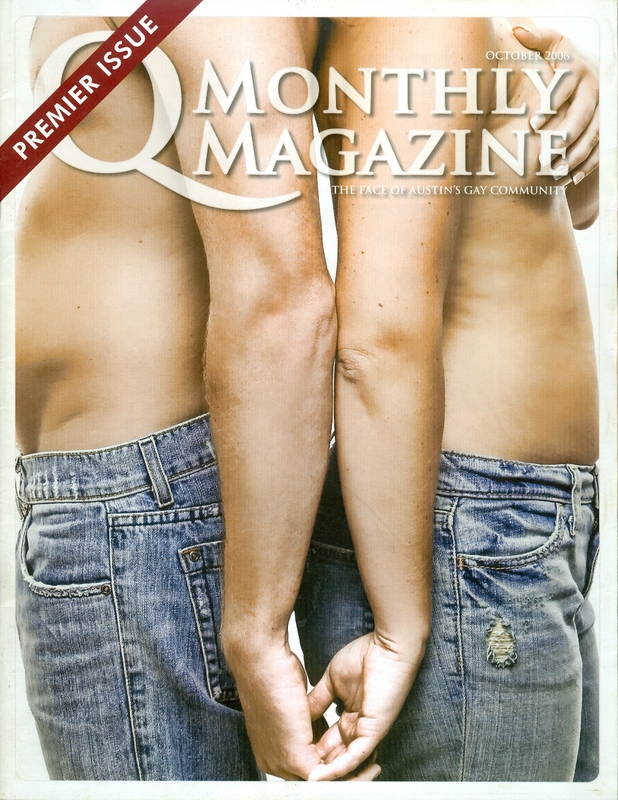 A biweekly by mid-2012, apparently ending that year. 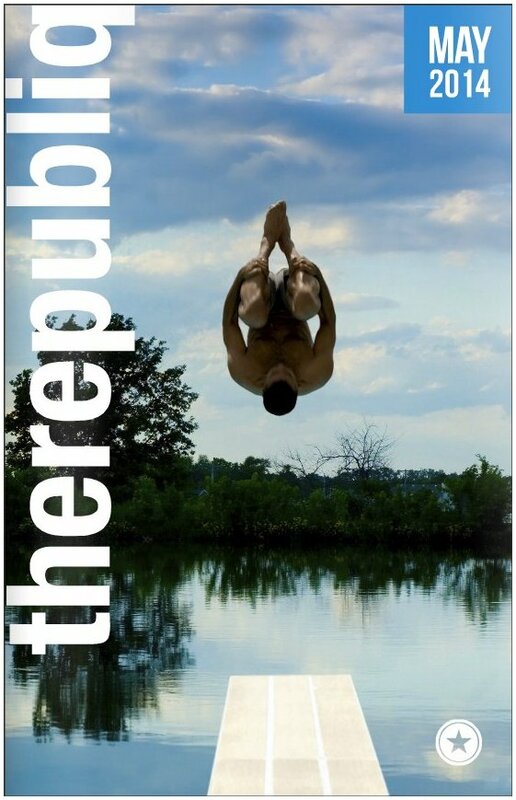 5 1/2x8 1/2" with plenty of bar photos and bar info. 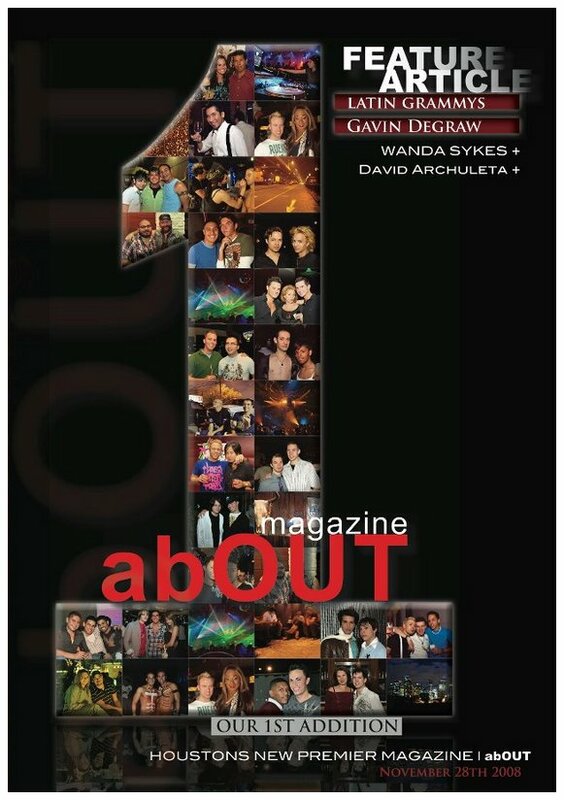 Publisher and CEO is Cade Michaels. 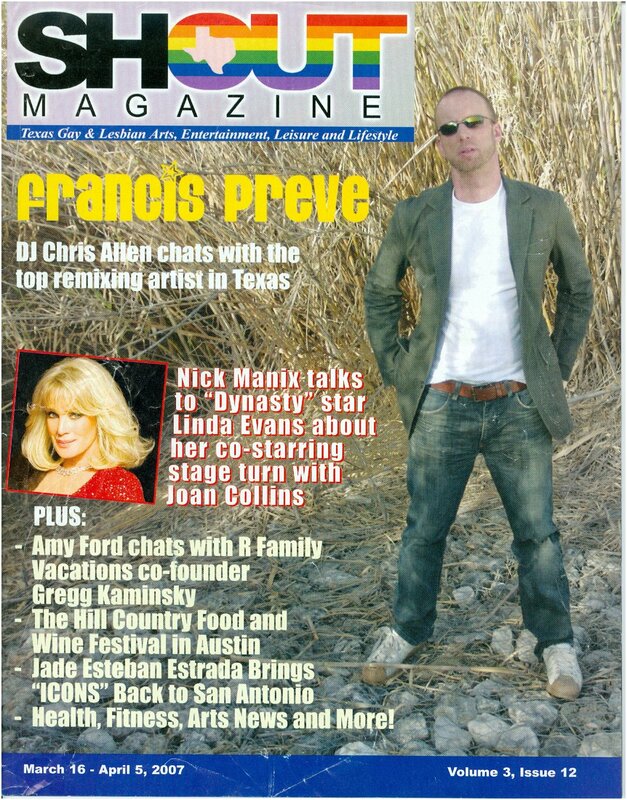 Another Austin venture from Chase Martin, connected with a wider media presence at www.therepubliq.com which was active until Oct 2016. 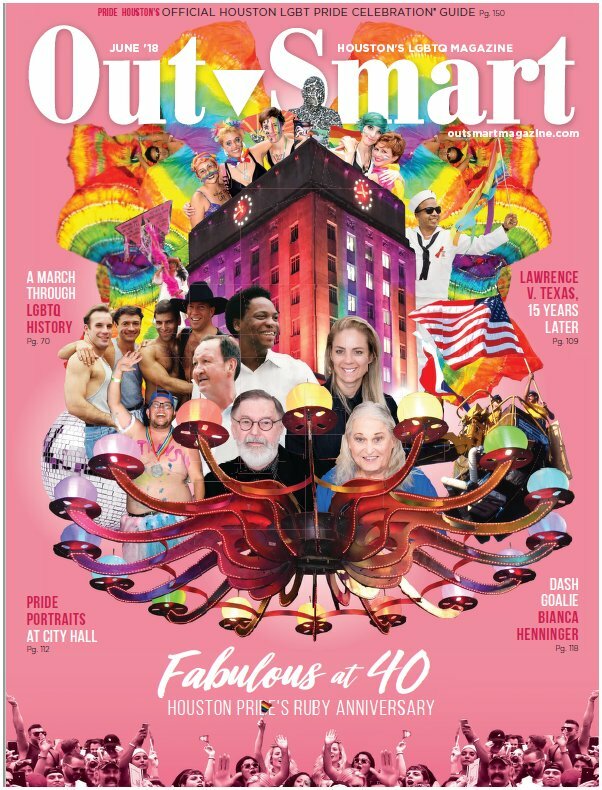 The site showed one issue, May 2014 (PDF) for a magazine, but not known if there was also a print edition, or if there were other issues. It appears the last few months was only net news posts.